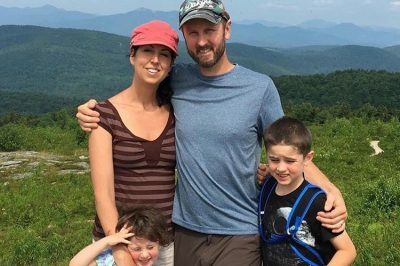 HALES LOCATION, NH – Friends of the North Conway Man injured in a mountain biking accident is looking to help his family. 42-year-old Joshua Preece was injured Sunday after being ejected from his bike into a tree on White Horse Ledge in Hales Location. Friends of Preece and his family have set up a Go Fund Me Page in order to help with his family medical bills. According to the page Preece sustained life-threatening neck and spinal injuries and is being treated at Dartmouth Hitchcock Medical Center in Lebanon further. Preece and his family, including his wife and two children, will have a long road to recovery ahead of them. The post describes Preece as a very talented home builder who grew up in the Mount Washington Valley and is the “type of person that would give the shirt off his back for anyone in need, and has always been there to help others without hesitation. The Page has been shared multiple times on various forms of social media including by the Cranmore Mountain Meisters. The page had raised over $4,000 of it’s $100,000 goal from 26 donors as of this afternoon. Those looking to Donate can visit the Go Fund Me Page by clicking here.